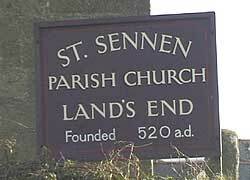 St.Sennen Parish Church, Sennen, Cornwall. 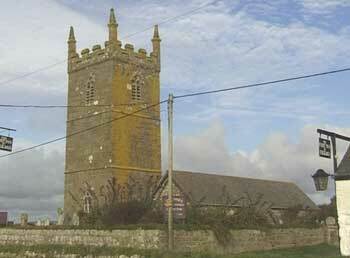 The Church is situated on the A30 about one mile from Land's End. 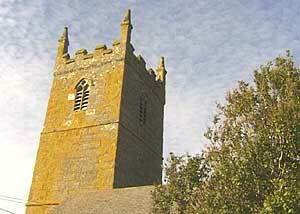 There has been a religious building on the site since the sixth century, possibly 520 AD. 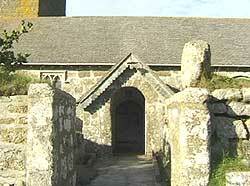 The greater part of the present building dates from the thirteenth century. Visitors are welcome at all times, but you will find a particularly warm welcome at our services on Sundays and Thursdays. Sundays - Holy Communion at 11.00 a.m.
Wednesdays - Said Communion at 10.00 a.m.
Michael Jefferies 787594 If you want to know more about the life of the Church; if you want help, advice, just a chat; if you know of someone who needs help, or is lonely - please contact any of the people listed opposite.